Registering on the Immigration NZ website. If you already read our article on How to apply online for a Working Holiday Visa in New Zealand and want some visual help, well here you go! Or if you were just looking for something to walk you through the whole application process, well you are in the right place too. 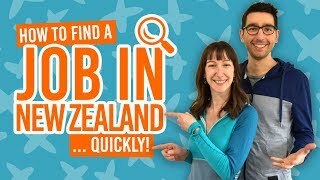 So, you have checked whether you are eligible for a working holiday visa and whether the quota for your country is still open on WorkingHolidayNewZealand.com. Now, it’s time to apply! Be sure to check your country’s specific requirements on this page then follow the orange square on each screen capture shown in this guide to know where to click. 1. Grab your passport and your Visa or MasterCard credit card (for the application fee) and head to this page using preferably the Firefox browser. (The page will open in other browsers, but the page has less bugs and glitches on Firefox). 2. On this page, select “working holiday schemes”. 3. Under “new users”, click on “create an account”. 4. Fill up all the required information keeping in mind that your password must have three different types of characters. 5. After clicking on “register” you should see this page. Open the email in your inbox. 6. This email shows that your registration was successful. Click on the first link in the email and pass onto the Part 2 of this guide. Where to Buy Camping and Hiking Gear in New Zealand?